The eZtap is an innovative solution that improves the rubber tapping process. Rubber tapping is the process of collecting latex from a rubber tree. It works by making an incision in the bark of a tree, which makes it possible for the latex to flow freely down the side of the tree and into a collection cup. The eZtap was designed to enable users to save time and energy and to increase the amount of latex collected. 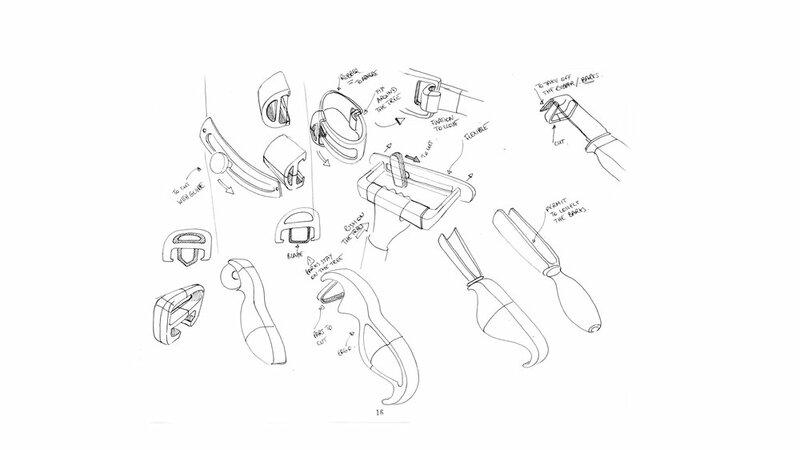 The challenge of designing the eZtap was to create something that has never been done before, but at the same time keep the device simple, minimal and efficient. The eZtap is intended to be sold to rubber plantation owners throughout the world. Therefore, the design was focused on being easy to use and efficient so that the plantation owners could be more productive and profitable. The knife is not precise to cut a proper groove, so it starts to be difficult and painful for the rubber tapper after many manipulations. The cup’s shape is not made to collect the latex, there is no specific handle. The user has bad posture during all the process of the collection. 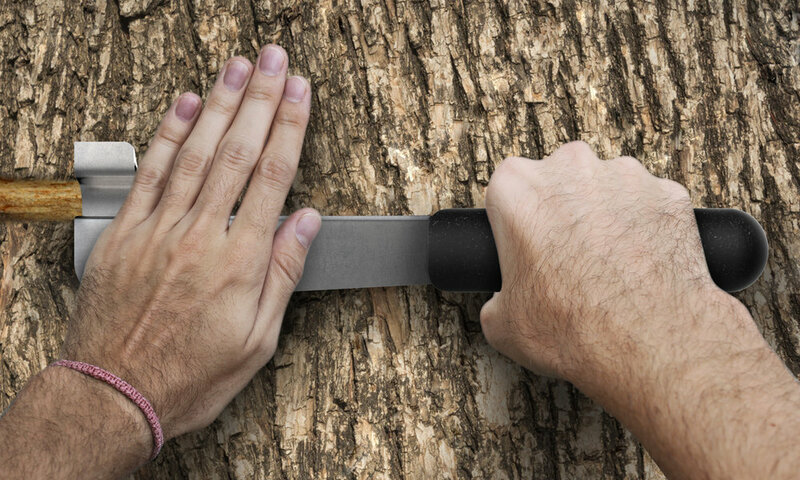 The user needs to repeat the action many times to cut the bark, making sure he does not touch the heart of the tree. All along the day, there is a waste of latex in the cup because of this strenuous process, there is a waste of time and money. 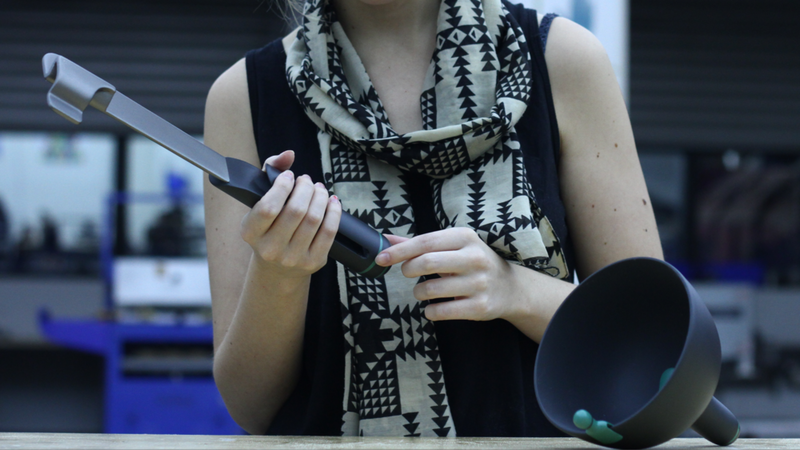 The bowl and the handle are made in bioplastic to make the product more stable, ecological and cost efficient. Its main components consist of renewable resources. It is absolutely emission-free and biodegradable. It enables the production of objects, which, until now, were made of either wood, metal or plastic. This material respects the spirit of the rubber collection.